It's a car. It's a plane. It's an Uber. Uber is proving that it’s more than just a modern chauffeur service. With its self-driving taxis and, more recently, driverless truck deliveries, it’s revealed itself to be a real tech company that’s revolutionizing transportation. And it’s about to go further. 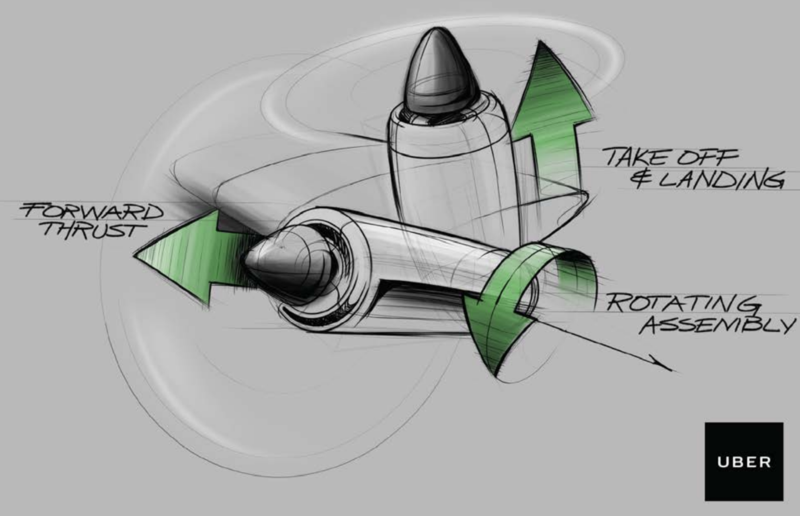 Last month at the Nantucket Conference, Uber products head Jeff Holden hinted at the company’s research on vertical take-off and landing (VTOL) aircraft. Uber then released a 98-paged white paper yesterday detailing just how it plans to run a network of VTOL vehicles. The concept is simple: Uber plans to provide a cost-effective and efficient ridesharing service in the sky. 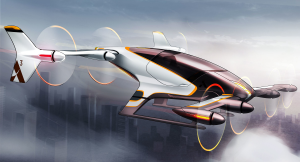 Commuters will ride a “network of small, electric [VTOL aircraft] that will enable rapid, reliable transportation between suburbs and cities and, ultimately, within cities,” according to Uber’s paper. Not only that, this service is green as Uber’s VTOLs will run on electric propulsion systems with zero operational emissions. Uber notes that developing infrastructure for VTOLs would be relatively easy. It has been proposed that the repurposed tops of parking garages, existing helipads, and even unused land surrounding highway interchanges could form the basis of an extensive, distributed network of “vertiports” (VTOL hubs with multiple takeoff and landing pads, as well as charging infrastructure) or single aircraft “vertistops” (a single VTOL pad with minimal infrastructure). VTOL would be included in the Uber app, with details for walking and driving distances before and after the VTOL flight. Commuters can opt to take an Uber car to and from a vertistop or vertiport as part of the complete trip. Uber believes VTOL trips won’t be expensive. Initial estimates of a VTOL ride from San Francisco’s Marina to downtown San Jose is $129 and could drop as low as $20 in the long term. An equivalent two-hour Uber X ride between the two destinations currently costs $111. Building a fleet of VTOL vehicles is crucial. Two developers’ VTOL craft ideas were mentioned in the white paper: the Airbus A3 Vahana and Joby Aviation’s S2. As for drivers (or pilots) to man the vehicles, Uber hopes to cut training time by using VTOLs with limited levels of autonomy. It looks like Uber is serious about this very futuristic mode of transportation. Together with the development of Hyperloop transport pods, autonomous taxis, and self-driving buses, Uber’s VTOLs will revolutionize transportation in a manner similar to when commercial aircraft flights became the norm for long-distance travel.